The Pure Modern Lifestyle begins with the long drive home and ends with the serenity of a hillside oasis. Open space + pure white define the laid-back lifestyle of "Less is the New More." There is something to be said for the absence of rich color or bold prints and in today's overly connected Blackberry world, who isn't on the search for the simple pure beauty of ~ white. So, sit back, relax, and enjoy a few moments of pure bliss + pure modern home interiors. Pure modern functionality from Erba Italia offers simple forms to compliment any open space or modern dwelling. One of the modern masters, Giovanni Erba, who has been on the cutting edge of modern design in Italy since 1954, makes it hard not to envy the pure lifestyle. The Pure Vanity Collection is available in numerous configurations and my choice of covers ~ pure white leather. 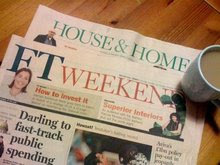 For more modern wares, check out www.erbaitalia.it. 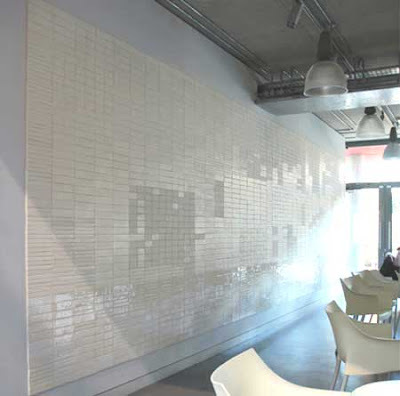 [fabulous kate blee pure white wall installation]. 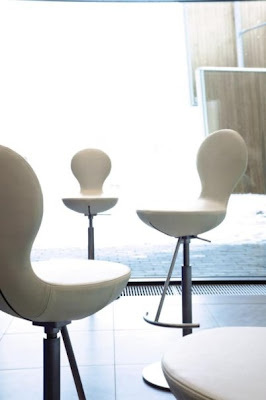 [ultra pure ~ "human design" chair by varier furniture ]. 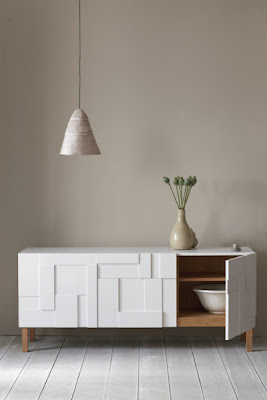 [alba sideboard by pinch design, "draws its inspiration from mid-century relief plasterwork to create a sculptural, calm and intriguing piece." Shown above, the Wave Sideboard by Pinch Design, is crafted in an innovation wave pattern and comes with fabulous stainless steel legs. This collaborative team of husband and wife, Russell Pinch and Oona Bannon, bring a unique perspective and crisp, clean designs to the world of modern + urban decor. For more pure modern and urban cool wares, you need to pay Pinch a visit at www.pinchdesign.com. Original Post by Susan Rapp on April 10, 2009 at Urban Lifestyle Decor. The hillside home is jaw-dropppingly beautiful. Loving the all-white bedroom as well! Fantastic house, and love that Alba Sideboard. The house in Hillside evokes a simple, clean and hygienic feeling. Love the ARchitectural details, especially the cylindrical polls connecting the building both horizontally and vertically. Pretty modern indeed. 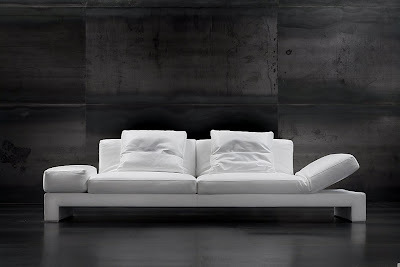 The first white sofa against the dark grey wall is stunning. GAAAAAAAAAAAAAAAAAAAWD!!! just gorgeous. simply gorgeous! Those 2 sideboards are so wonderful. I LOVE all white interiors but have a deep fear of ever putting one in a place that I live because it would get too dirty too quickly. Damn me and messy tendencies! I would love to have that interior. All white. But my fiance would complain that it would be hard to keep clean. 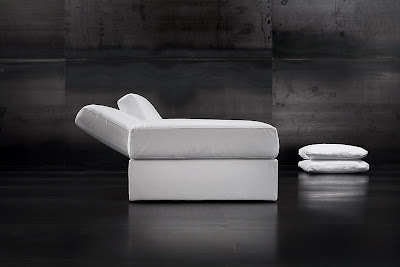 Since my Blog is about Italian Design I am always happy when I see furniture made in Italy (like Free Spirit by Erba). Most of them are produced in Brianza, an area between Milan and Como Lake. I did sit back, relaxed and enjoyed your Post! Fun entry! 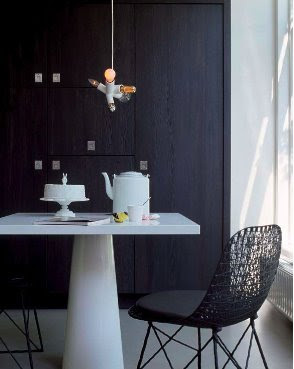 Love the first picture and the carbon chair by Moooi. 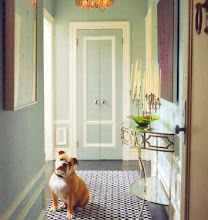 In my dream life or alter ego life, I would live in an all white splendor like that of the gorgeous foyer above. In my real life, well, let's just say I'm a bit too real, heh heh. I have made a sort of compromise creating my office/studio in mostly a white theme. Works great as a backdrop for my creativity. It is still a work in progress. Love the wave cupboard and the white wall installation! PS: I've given you some awards. Check out my blog for the details. WOW! I never realized white could be SO beautiful. That foyer is truly breath taking. Thanks for the great post. Oooh this images are fabulous! It's the simplicity of these designs I love so much, and there's something a bit space-age chic about those chairs - very now! I love all the white it looks so clean and inviting. The lighting is also pretty unique. your blog is inspiring! first time here and loving it! i addded you onto my daily reads. Wow. Love the outside of the house. The inside? A little stark for me. Oh i just love the All White look. It is so simple yet so stylish. I have small kids so it would not work in my house. I would just add a few Red or Green Scatter Cushions to the White Leather Sofa and i would be happy. 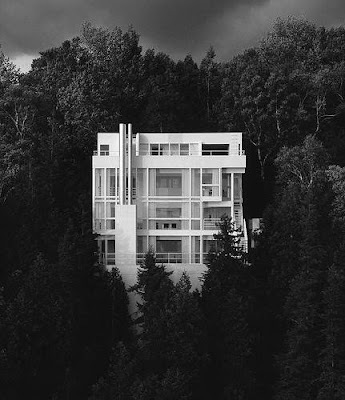 The picture of the house has an ominous, old black and white movie feel to it, yet its a architecturally modern design; very interesting! This is a beautiful blog site. Thanks for your pure modern lifestyle post. I think many people are drawn to the simplicity of whiteness in their home décor and furniture. Modern houses are frequently painted in smooth colors, like white , black, and silver. For the walls, you can fix with the white color and improve them with modern accessories like paintings or modern day murals. Beautiful and comfortable home is not necessarily expensive and extensive land.A home that blends with the symphony of nature into a beautiful song of the night. The house that always make the residents miss this show so captivating. With the touch of a stone wall on the front and a little swimming pool in front porch create a comfortable atmosphere in the heart and eyes. Would anyone happen to know what kind of wall is behind the white sofa? It doesnt look like paint, but almost like steel sheet. Any ideas? very modern and unqiue, white furniture always looks great and can be combined with different colours which is great thanks for sharing these pics. Cool looking house! Do you watch Masterpiece Mystery on PBS? There was an Agatha Christie's Poirot (Poirot XI) "Three Act Tragedy" a few weeks back which had the most amazing modern circular house at the beginning. Almost doesn't seem real. The impact of white structural pieces can be quite forceful, or equally gentle depending on the environment, so it holds great appeal to so many. Wow, Love this type of write ups. As we all know presentation is talent and you have done it so well. Keep it up. We have some interior design ideas plugins, which may help you a lot. Have a look http://www.gharexpert.com/plugin/ You can add these plugins to blog / site and attract more readers. That all white wall installment is impressive. I can see it working in other block colors (esp. metalics) well too. I must appreciate the interiors, we can use the Marble as well is it?